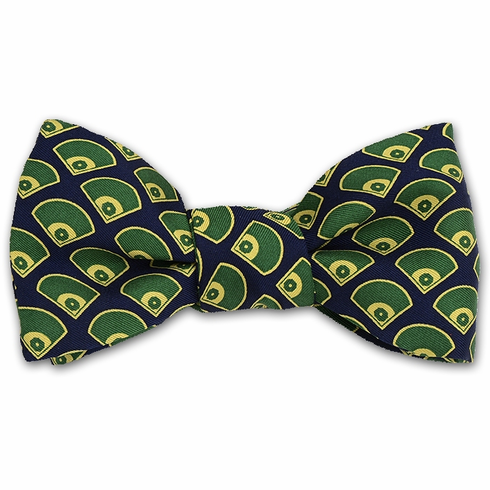 This unique Josh Bach bow tie displays baseball diamonds all over. Green and gold fields on a blue background. Ideal gift item for the fashionable baseball fan in your life who seems to have everything. Also great for weddings for the best man and groomsmen! Packaged in a poly-bag...no gift box available.